The controversy over the economic and social origins of the English Revolution was a topic that excited ferocious debate over sixty years ago. Historians of the calibre of R.H.Tawney and Hugh Trevor-Roper, J.P.Cooper, Christopher Hill and Lawrence Stone advanced radically different interpretations to explain the violent events of the 1640s and 1650s in the British Isles. American scholars, most famously of all, J.H.Hexter, like Willson Coates, Harold Hulme, Judith Shklar and Perez Zagorin also commented with varying degrees of sharpness on the issues at stake. But only one of the major participants, Lawrence Stone, offered an account of the historiography of the dispute, first of all in his introduction to the anthology of academic articles and documentary sources entitled Social Change and Revolution in England 1540-1640 which he edited in 1965 and then, in slightly revised form, in Chapter 2 of his work, The Causes of the English Revolution 1529-1642, published in 1972. It is with this account that this note is concerned. Stone began the earlier version of his essay with a description of the genesis of the controversy. He found it in R.H.Tawney's article on the rise of the gentry between 1558 and 1641 published in 1941. Tawney had detected important changes in the distribution of landownership in the period before the English Civil War due to the decline in the fortunes of old-fashioned landlords and the rise of a new class of gentry able to adopt modern methods of estate management and to profit thereby. As a result, the political structure of the country shifted in and after 1640 to accommodate these economic and social changes. Tawney's argument was underpinned by statistics claiming to show a fall in the size of the peerage's manorial holdings compared to those of the gentry and a contraction in large manorial holdings in contrast to a growth in medium-sized manorial holdings. Apparent confirmation on the decline of the aristocracy was offered by Stone himself in an article published in 1948 which argued that the late-Elizabethan peerage was weighed down by debts due to over-spending and on the brink of financial ruin. Only the largesse of King James VI and I averted aristocratic collapse. Stone was admirably frank in retrospect in admitting to his use of extravagant language in this article, to his statistical errors and failings over his employment of corollary evidence in response to Hugh Trevor-Roper's initial criticisms. Nonetheless, he maintained a revised version of his original position in 1952. This proved the catalyst for Trevor-Roper's wider assault on Tawney's thesis in the following year: according to Trevor-Roper, the difficulties of the lesser or mere or small gentry were more characteristic of the pre-Civil War period than the advance of newly-risen gentry who were able to profit from Court offices, the law and mercantile monopolies. These lesser gentry constituted the 'Country party' whose supporters overthrew the Caroline regime in 1640, who advocated decentralization, reform of the law, the reduction of offices, etc., and who were the mainstay of the Independents in the latter half of the 1640s and in the 1650s. Subsequently, J.P.Cooper demolished the framework upon which Tawney and Stone had erected their manorial figures. By then, Stone asserted, the way had been cleared for the general acceptance of the Trevor-Roper thesis. In fact, according to Stone, it was not until 1958-1959 that Trevor-Roper's arguments were seriously criticised when Christopher Hill and Perez Zagorin exposed the fragile nature of his assumptions about the lack of profitability of agriculture for landowners in general, about the Court as a highway to riches and about religious radicalism as a refuge from economic decline. There were serious problems too over Trevor-Roper's analysis of the Parliamentary politics of the 1640s and identification of the Independents as the party of the small gentry. J.H.Hexter was equally critical of Tawney and Trevor-Roper: the former was obsessed by the Marxist theory of the rise of the bourgeoisie and the latter by economic motives rather than by ideals and ideology, politics and religion. Hexter preferred and proffered an analysis based on the decline of the aristocracy in military rather than economic terms, the assumption of political leadership by the House of Commons instead of the House of Lords, and the traditional constitutional and religious explanations for the breakdown of the 1640s. By the time Hexter's essay first appeared in 1958, Stone was engaged in a major study of the aristocratic archives which had become available since 1945 and which culminated in his book, The Crisis of the Aristocracy, 1558-1641, published in 1965. He claimed in his discussion of the social origins of the English Revolution that this book offered a synthesis of his own and Hexter's ideas about the problems facing the late-Tudor and early-Stuart peerage. Stone argued that the aristocracy had lost military power, landed possessions and prestige: their incomes under Elizabeth had declined due to conspicuous consumption but recovered under James and Charles due to royal largesse and rising landed incomes. The King and the Church of England were nonetheless left dangerously exposed by the crisis in the affairs of the landed elite after pursuing unpopular constitutional and religious policies up to 1640. The prior decline of the aristocracy made the upheavals of that decade possible. He expected criticisms of his arguments in 1965 and conceded that a range of questions over the fortunes of the gentry would be raised: the debate would inevitably continue. Seven years later, there had indeed been criticism but also, in his view, the development of a more sophisticated view of the causes of the English Revolution. This account of the historiography of the gentry controversy looked straightforward enough and attracted no attention in 1965 or 1972. Lawrence Stone had claimed that the publication of Trevor-Roper's essay on The Gentry 1540-1640 in 1953 and of J.P.Cooper's analysis of the statistics on manorial holdings produced by Tawney and Stone himself had apparently “cleared [the way] for general acceptance of the Trevor-Roper thesis.” He had gone on to maintain that it “was not until 1958 and 1959 that the Trevor-Roper thesis in turn came under serious criticism” from Hill, Zagorin and Hexter, the latter of whom was also critical of Tawney. But these arguments were and are fundamentally at variance with the record. Take Hill for example. The essay Stone cited was entitled Recent Interpretations of the Civil War. It had been given as a paper to the Mid-Wales branch of the Historical Association in January, 1955 and was published in Volume LXI of History in 1956. It had a number of specific objections to Trevor-Roper's categorization of the gentry, to his alleged elision of the terms “mere”, “lesser” and “declining” gentry, to his belief that it was the Crown rather than the peasantry from whom rising gentlemen secured their gains and so on. This essay was reproduced in Hill's volume of essays entitled Puritanism and Revolution published in 1958. In Zagorin's case, he had published a paper in the Journal of World History in 1955 entitled 'The English Revolution 1640-1660' in which he took the view that Trevor-Roper's criticisms of Tawney and Stone remained to be substantiated and that it was unlikely that the revolution could be regarded as rising of the excluded “mere gentry.”A year later, in 1956, Zagorin gave the paper entitled 'The Social Interpretation of the English Revolution' at the meeting of the American Historical Association: an enlarged version of his text expressing his objections to Trevor-Roper's arguments appeared in the Journal of Economic History and is noted in Stone's bibliography in 1965. It was incidentally at this AHA meeting that Hexter's essay, Storm over the Gentry, was given its first outing. Furthermore, when Past and Present organised a conference on seventeenth-century revolutions in London in July, 1957, the consensus of historians present was, according to Eric Hobsbawm, “unfavourable to Prof. Trevor-Roper's views that they [the gentry] represented a declining class”, a verdict endorsed as far as this meeting was concerned by J.H.Elliott many years later. J.H.Hexter's famous essay in Encounter in 1958 was, as those who read it in its original version or in the longer 1961 version, more hostile to Tawney and Stone and comparatively benign in its analysis of Trevor-Roper's case. Conscripting Hexter to the ranks of the latter's critics is a difficult exercise to perform. It was, in any case, simply not true to argue that there was a delay until 1958-1959 until Trevor-Roper's arguments came under critical scrutiny. On the contrary, there had been serious, perhaps partially-organised, scepticism expressed well before then. Why did Stone offer this clearly erroneous account? There are two possibilities. Either he had forgotten the facts and thus misled himself and his readers. This seems unlikely, prima facie. Alternatively, this exercise may have been undertaken deliberately. There is some evidence to support the latter explanation. In the spring of 1964, Hexter invited Stone to give a lecture at Washington University in St Louis “undoubtedly [as] some sort of peace-offering to one of the many victims of his scalding wit” according to John M.Murrin, then a colleague of Hexter and later of Stone at Princeton. Both the invitation and the lecture were a success. But whereas, in 1958, Stone had regarded Hexter's views on the military decline of the aristocracy as inadequate in explaining the peerage's problems in the 1640s, by 1965, Stone was prepared to claim that The Crisis “developed a new interpretation, an amalgam of some of my earlier ideas and those of J.H.Hexter.” What contribution Hexter had made to this new synthesis is difficult to detect since he was mentioned only once in the text – and not at all in the chapter on Power – and only twice in its footnotes. There is really no positive evidence for Hexter's influence on Stone's opus. But a rapprochement had occurred. When Hexter published his review of The Crisis in the Journal of British Studies in 1968, his critical faculties so evident a decade before had been largely suspended and his overall verdict was laudatory. Hexter had become a “friend” of Stone as Murrin explained in the festschrift to mark Stone's retirement and contributed to the volume of essays marking Hexter's own retirement. Was Stone ignorant about the course of the 'gentry controversy' between 1953 and 1958 or 1959? Given his direct participation in it, this appears highly unlikely. On balance, the erroneous account he offered in 1965 and again in 1972 and the unsubstantiated deference to Hexter seem to owe more to a desire to placate and neutralise a potentially serious critic and to recruit him to Stone's camp. If this is a tenable line of argument, it illustrates Stone's failings as an historian in a particularly revealing way. The Causes of the English Revolution 1529-1642 - By Lawrence Stone - Foreword by Clare Jackson – Routledge-202 pages – 2017. 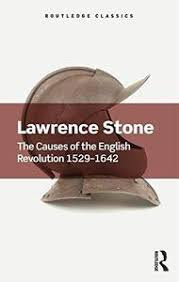 Lawrence Stone first published his book The Causes of the English Revolution 1529-1642 in 1972. The book provoked significant controversy and was subjected to some hostile reviews from mainly conservative revisionist historians. It is safe to say that Routledge's new publication as part of their Classics series will not cause the same vitriol. Stone who died in 1999 has become something of a forgotten historian. This new publication should at least elicit a reappraisal of his work. Lawrence Stone was many things to many people. To some, he was a Marxist historian, to others a social historian or as he later in life called himself an "an old-fashioned Whig.” While it is true that he seemed to shift his position to fit in with ever-changing historiography, he was nonetheless a first-rate historian "making sure that history is never boring." History and for that matter, politics were not dull when he published this book. From 1968-1975 the world witnessed wave after wave of crises and revolutionary upheavals. The early seventies saw the collapse of the Bretton Woods system on August 15, 1971. President Nixon suspended the convertibility of the dollar into gold. In the aftermath of August 1971, world capitalism became increasingly susceptible to destabilising shocks. The crisis was in the words of one writer was ‘the culmination of the process of disequilibrium that had been under way for the previous 37 years. I would like to say that Stone’s book reflected those times but that would not be the case. When Stone wrote this book, he had long ago abandoned any pretence of being close to a Marxist position on the English revolution. Even from a brief look at Stone’s career, the Storm over the Gentry debate had a profound effect on how he interpreted historical events. In 1948 he wrote the article “The Anatomy of the Elizabethan Aristocracy." that argued that revolution was the product of the rise of the gentry and decline of the aristocracy. A similar position to that of R.H. Tawney in 1941. Unlike Tawney Stone made some methodological mistakes which were jumped upon by Hugh Trevor-Roper and Christopher Thompson. It must be said that the criticism was out of proportion to Stone’s purported crime and was politically motivated. The Storm over the Gentry debate exposed more importantly that a significant group of historians was prepared to take on any historian who even remotely espoused Marxist historiography. It was Stone’s misfortune that fell under the influence of R H Tawney in 1947 and was labelled a liberal historian. This was widely inaccurate but served the purpose of some right-wing conservative historians. Roper was also apparently angry that after he had given Stone the transcripts from the Recognisances for Debt in the Public Record Office in Chancery Lane Stone used, without Trevor-Roper’s advance knowledge or permission, in his 1948 article in The Economic History Review. It was this action – this “act of thievery” as Menna Prestwich described it – that provoked Trevor-Roper’s strong language in his immediate response. While these two incidents may have turned up the heat they did not cause the Fire. Political motivations were involved, and the debate was fought along class lines. Stone had a major problem in that he never really understood the difference between genuine Marxism and a crude form of economic determinism. He also never really grasped the political nature of the conservative historian's attack. Stone never really deepened the reader's knowledge of the political persuasion of Roper or other historians such as J H Hexter who Stone describes as a Liberal. Hexter’s close links along with Roper to the American Encounter magazine which had close ties to the CIA could have been exposed to Stone. In the 1950s Hugh Trevor-Roper went to a conference in Berlin which was mostly made up of anti-communist. Among the other guests were Stalinist intellectuals such as Sidney Hook, Melvin J. Lasky, Ignazio Silone, and Arthur Koestler. The conclusion of the conference was the founding of the Congress for Cultural Freedom and its magazine Encounter. Trevor-Roper wrote extensively for the magazine Encounter, is it any wonder that Stone who was mistakenly described as a Marxist historian would feel the brunt of Roper’s tongue. The writing of the Cause of the English Revolution confirmed that that Stone had abandoned any link to a Marxist analysis of the English Revolution. Despite Stone’s shift to a more conservative historiography, the Causes of the English Revolution is nonetheless an enjoyable read at over 177 pages. As Stone explains his take on the revolution; to concentrate upon Clarendon's 'Great Rebellion' or Miss Wedgwood's 'Civil War' is to miss the essential problem. The outbreak of war itself is relatively easy to explain; what is hard is to puzzle out why most of the established institutions of State and Church - Crown, Court, central administration, army, and episcopacy - collapsed so ignominiously two years before”. The book divided into two parts with four chapters; the last is an update on Stone’s previous position written in 1985. Part one is titled Historiography Subtitled Theories of revolution. Stone’s use of sociological jargon can be off-putting at first. Stone cites his students questioning of the Marxist explanation of the English civil as his reasoning behind the book. His students attacked the Marxist interpretation of the Civil War. According to Robert Darnton “When Lawrence Stone arrived in Princeton and unpacked his intellectual baggage, he released a fresh set of ideas, which are still buzzing in the air, not merely here but everywhere in the country. Is it any wonder that Stone does not do a magnificent job of defending Marx and Engel’s historical materialism?. Stone never really understood the political nature of the attacks upon him. Outside of academia, Stone was always seen as a Marxist historian even when his later work had no connection with Marxist historiography. This did not stop the attacks on Stone. Even as late as 1985 Stone was on the receiving end of a bitter and unprovoked attack in the pages of the Conservative Arts Magazine The New Criterion. Under the headline, Lawrence Stone, and Marxism, Norman Cantor, a New York University historian, In the June issue asserts “Stone was—and is—an English Marxist.” He implies that Lawrence Stone used his “extensive patronage powers” as director of the Shelby Cullom Davis Centre at Princeton University to promote Marxism. Cantor was answered not by Stone but by Robert Darnton who wrote “I find those statements distressing. I have known Lawrence Stone for seventeen years and consider him an old-fashioned liberal. Although he is a great admirer of Tawney’s, he is not and never being a Marxist. He is indeed the director of the Davis Centre, but he does not rule over it with absolute or even partial sovereignty. A committee, of which I have twice been a member, makes every decision on the election of fellows and the selection of seminar topics. The history department approves those decisions and passes on the Centre’s budget. And aside from its mode of operation, the Centre has never favoured Marxism or any of the other ideologies that Cantor names. His way of calling names strikes me less as a defence of liberalism than as a revival of McCarthyism. It discredits him and the liberalism he purports to defend. I think he should make a public apology. Cantor did not and in fact reiterated his previous charge “I did say that Stone was and is an English Marxist and I do not retract this statement. On the contrary, I confirm it. Stone’s first publication, in 1948, was an article in support of a thesis propounded in 1940 by the famous Marxist historian, R. H. Tawney. This thesis attributed the cause of the English Civil War of the 1640s to class conflict, to the “rise of the [bourgeois] gentry.” Stone explicitly supported Tawney’s Marxist model: “Confronted with the rise of the gentry, merchants, and lawyers, a new class whose political aspirations and whose views on foreign policy differed fundamentally from those of the aristocracy, the hold of the latter upon the springs of political power were bound to be loosened.” Lest it is thought that this was a juvenile work that Stone later repudiated, we find him even in 1985 still insisting the Tawney class-conflict rise of the gentry thesis “to be largely true.” One of the amazing things about Stone’s career as a historian has been the remarkable consistency of his devotion to Tawney, the leading English Marxist scholar of the first half of the twentieth century. In 1965 Stone published a very long volume on the crisis of the English aristocracy in the seventeenth century. Here the Marxist model tricked out with various social and cultural aspects, was repeated, except that the emphasis was now on the aristocracy falling to make way for the gentry. 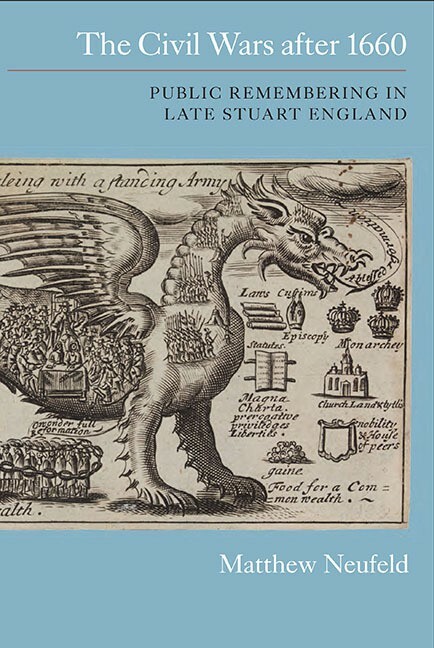 In a book, I published in 1968—The English: A History of Politics and Society to 1760—I pointed out that this was essentially a variant of the same tired Marxist Tawney model of the origins of the English Civil War. Stone did not answer this mean spirited and anti-communist attack. The problem is that with all these hostile attacks on Stone is that not only has his reputation has been dragged through the mud but that revisionist and in some cases anti-communist historians have not been answered and refuted. For Christopher echoed those sentiments when he wrote “Lawrence Stone’s deep curiosity, his enthusiastic if critical appreciation of what is novel, and his courteous and tolerant if a trenchant statement of disagreements makes him and a good reviewer. He has a gift for summing up epigrammatically what most of us would say in several laborious pages”. 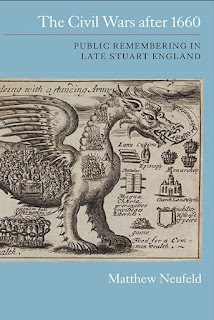 The Civil Wars after 1660: Public Remembering in Late Stuart England (Studies in Early Modern Cultural, Political and Social History) Matthew Neufeld 2013. It is evident from Mathew Neufeld’s book The Civil Wars after 1660 that the English bourgeoisie and aristocracy during the latter part of the 17th century did not look back at the English revolution of the 1640s with any fondness. Neufeld does not believe that a bourgeois revolution took place in the 1640s, but his book does provide us with an insight into the thinking of the Restoration bourgeoisie about this momentous event in the British and international history. From a historical and political standpoint, the restoration of the British Monarchy in 1660 was seen as a Glorious and peaceful Revolution, unlike the English revolution which was considered “nasty, brutish and short”. The book is beautifully illustrated as you would expect from a Boydell publication. Neufeld clearly spent a lot of time in the archives and used published histories, memoirs, petitions, and sermons to significant effect. However, despite the plethora of books on or around the restoration period and an increase in interest from historians Neufeld’s book is the only full-length study on the topic since Blair Worden’s Roundhead Reputations: The English Civil Wars and the Passions of Posterity (2001). The book is divided into six chapters each of which outlines the lengths the bourgeoisie and aristocracy went to forget the English revolution. As Neufeld points out, the purpose was to prevent a real revolution breaking out during the restoration. Much of the propaganda produced during the Restoration was aimed at blaming Puritanism for the Revolution. The Monarchy was absolved from any wrong doing. The thing that strikes one when reading this book is the extent of rewriting history to suit political ends. According to Robert D. Cornwall “There were efforts both to forget the English Civil War and the Interregnum as an aberration and the need to remember to prevent something like this happening again. With monarchy and episcopacy linked, much of the work of remembering was designed to make sure that the Puritan impulse that was often blamed for the Wars and Interregnum be kept at bay”. What lay behind this blaming of Puritanism for the revolution was the need during the late Stuart period to justify the Restoration settlements. Anyone who disagreed with the prevailing orthodoxy was labelled a dissenter and punished accordingly. The restoration time was an extremely volatile political and social situation. As Lloyd Bowen points out “the king’s preferred medicine was a kind of official amnesia, articulated first in the Declaration of Breda and then enshrined in the Act of Indemnity and Oblivion. Passed by the Convention Parliament in 1660, the Act’s stated desire was to ‘bury all seeds of future discords’ by wiping the slate clean, outlawing even ‘terms of distinction [and] … words of reproach any way tending to revive the memory of the late differences’. But this public face of oblivion and toleration failed to endure in the face of the profound religious and political tensions which remained after the devastating civil war. The government subsequently put in place an apparatus of religious discrimination and persecution which helped rapidly undermine the broad coalition of support which had brought about the ‘miracle’ of Oak Apple Day 1660”. As Neufeld states, the bourgeoisie went to great lengths to wipe out the memory of the English revolution. The high point of this amnesia was The Indemnity and Oblivion Act 1660. As Neufeld points this act has a contemporary feel with “post-conflict reconciliation” seen in South Africa and Northern Ireland, but perhaps, most importantly, was the Spanish bourgeoisie’s attempt post-Franco to forget the Spanish Civil War.The Pact of Forgetting according to Alberto Reig Tapia was "In practice, this presupposed suppressing painful memories derived from the dictatorship's division of the population into 'victors' and 'vanquished'. While Neufeld’s book, on the whole, has been well received one writer accused it of being Anglo-centric. Lloyd Bowen says that “while it is true that calls for a more ‘British’ perspective in early modern histories can be rather trite genuflections towards de rigueur historiographical fashions, and while it is equally true that scholars can only do so much and that England’s story deserves its star billing, there is nevertheless a serious point to be raised in a study of the public remembering of the civil wars that does not have an index entry for ‘Ireland’. He continues “The harrowing memories of 1641, or of Drogheda, surely had their place in the public consciousness of the period, while Scotland’s rather cursory treatment in a period that witnessed the Act of Union also requires rather more justification and discussion than it receives”. Perhaps another criticism and a more serious one at that has been Neufeld’s failure to examine class relations during the later part of the 17th century. The conflict between the Whigs and the Tories is not seriously considered. I am not saying that every historian has to take on board vast swathes of Marxist writing, but a use of Karl Marx’s book on the subject would not have gone amiss. Perhaps this one from Capital “The “Glorious Revolution” brought into power, along with William of Orange, the landlord and capitalist appropriators of surplus-value. They inaugurated the new era by practising on a colossal scale thefts of state lands, thefts that had been hitherto managed more modestly. These estates were given away, sold at a ridiculous figure, or even annexed to private estates by direct seizure. All this happened without the slightest observation of legal etiquette. The Crown lands thus fraudulently appropriated, together with the robbery of the Church estates, as far as these had not been lost again during the Republican revolution, form the basis of the today princely domains of the English oligarchy. The bourgeois capitalists favoured the operation with the view, among others, to promoting free trade in land, to extending the domain of modern agriculture on the large farm system, and to increasing their supply of the free agricultural proletarians ready to hand. Besides, the new landed aristocracy was the natural ally of the new bankocracy, of the newly-hatched haute finance, and of the large manufacturers, then depending on protective duties. The English bourgeoisie acted for its own interest quite as wisely as did the Swedish bourgeoisie who, reversing the process, hand in hand with their economic allies, the peasantry, helped the Kings in the forcible resumption of the Crown lands from the oligarchy. This happened since 1604 under Charles X. and Charles XI. As was mentioned earlier Neufeld must have spent a significant amount of time in the archives. His book uses three main pieces of literature. 1. Ludlow’s Memoirs (1698 – 9) 2. Thomas Carlyle’s edition of Oliver Cromwell’s letters and speeches (1845); 3. S. R. Gardiners histories (1893). The first chapter covers the years 1660 -1673. Neufeld outlines the use of officially written records which on the whole tend to blame the Puritans for the outbreak of the civil war. Chapter two examines the relief petitions of injured soldiers alongside the memoirs of Sir Hugh Cholmley and Richard Atkins. Neufeld uses these two sources to “‘vindicate their sense of personal identity” (p. 56). Chapters 3 and 4 takes a different tack in that they examine how historical writings of the civil war began to change. Neufeld detects a slight shift away from the Whig-dominated historiography to what has been called ‘historical parallelism’ (p. 105). Chapter five examines John Walker’s the Sufferings of the Clergy during the Grand Rebellion (1714). Chapter six concentrates on printed sermons. Neufeld's again links these histories with the changing political landscape of the late 17th and early 18th century. Like much of modern historiography this book was difficult to place. Firstly, the use of memory is always fraught with danger especially when examining the English revolution. Neufeld’s historiographical approach has been labelled by one writer as a ‘presentism’ perspective, whereby memory of the past is constructed and reconstructed to suit the current interests of ruling elites. Neufeld is not Marxist, but this approach does owe a small debt to Marxism. Secondly, much of the history of this period has been dominated by Whig historians, as Ann Talbot explains “the Whig interpretation of history had deep roots in the consciousness of the British political class. The visitor to Chatsworth House in Derbyshire can still see in the great entrance hall a fireplace inscribed with the legend “1688 The year of our liberty.” It refers to the “Glorious Revolution” when James II quit his throne and his kingdom overnight, and William of Orange was installed as king. This was the kind of palace revolution that the British ruling class increasingly preferred to look back on rather than the revolution in the 1640s when they had executed the king, conveniently overlooking the fact that James would not have run if he had not remembered the fate of his father—Charles I”. Neufeld’s book is part of a growing debate amongst historians about this period. A new generation of revisionist academics is asking new questions. One such question is did the restoration period represent a watershed in the political, cultural, and social of English history. John Morrill in his book After the Civil Wars (2000) answered in the negative saying that “one unfortunate side-effect of decades of searching for the holy grail of ‘the causes of the civil war’ in the century before 1640, and the assumption that nothing could be the same afterwards, has been to create an almost impermeable barrier between the periods before and after 1660”. Another side of the debate has been to downplay the historical significance of this period. Unfortunately, much of this has been dominated by left-leaning historians such as Christopher Hill. In fact, one of his earliest works was “The myth of the “Glorious Revolution” elaborated in Hill’s first published article, which appeared in the Communist International under the pseudonym E.C. Gore in 1937. Neufeld's book is an excellent piece of history writing.The book is a backhanded and unconscious compliment to the Marxist analysis of the restoration period. It is hoped that the book reaches a wide readership especially those interested social, cultural, and political histories. For scholars working in memory studies, this is a goldmine. As Neufeld puts it in his conclusion: "The Restoration was a kind of revolution, attended with a dramatic change of regime with long-lasting political, social, and ecclesiastical consequences" (p. 246). Although not the last word on the subject, it is hoped that it stimulates a new debate on the subject.